An architecture workshop for children. The project was originally conceived for Eureka: Poetry and Criticism magazine, who commissioned Assistant to commemorate Le Corbusier’s 120th Anniversary after his birth in their coming issue dedicated to this architect. We invited French artists item idem and Loris Gréaud to collaborate with us on this commission. 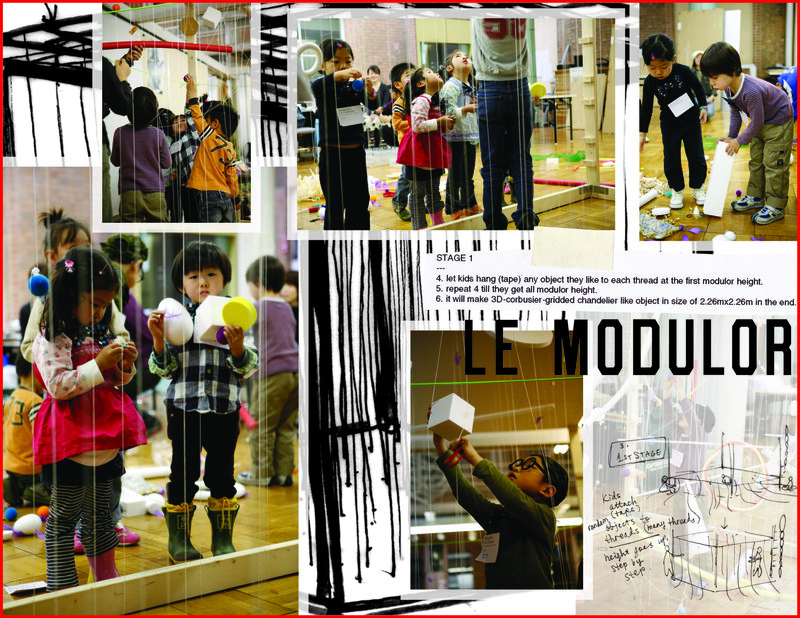 The result became an architecture workshop for children designed to be replayed again and again. Later in the same year, this workshop was reproduced for the Le Corbusier’s retrospective exhibition held at Mori Art Museum. First of all, children receive round glasses and bow ties to become architects to make their first architecture. 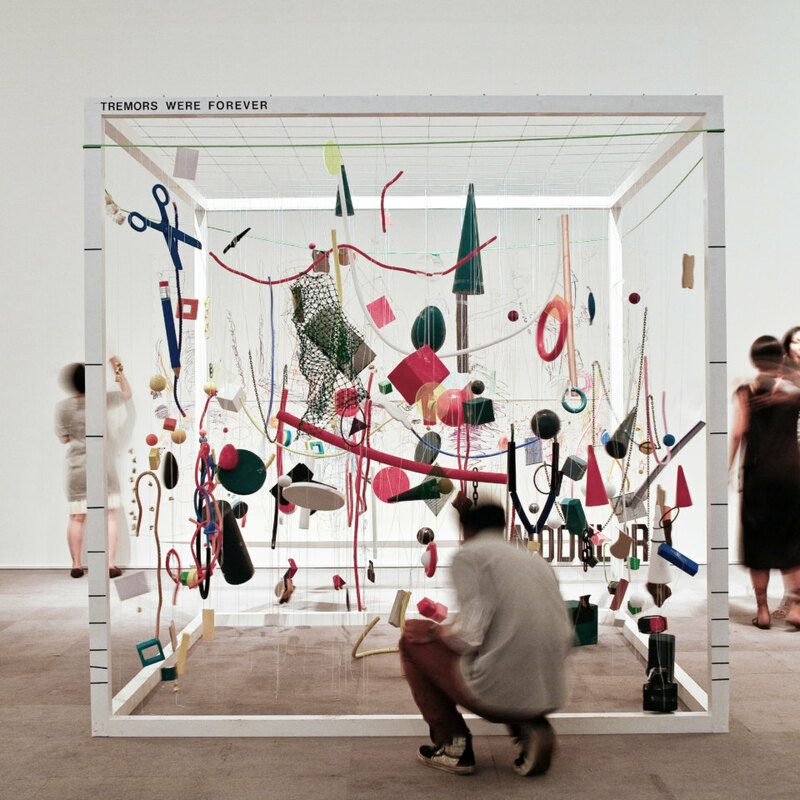 They pick up objects scattered on the floor and hang them from the strings in the cube, following Le Corbusier’s Le Modulor; a theory for the scale of architectural proportions. After the architecture is built, having the room with light turned off, the shadow of the architecture is cast on the wall. For the second phase, the children draw the lines of the shadow on the wall like an elevation drawing to remember the space they have built.